We manage transport to all European and Balkan countries. We also organise local distribution with delivery vehicles. We transport mainly different types of cargo heavier than 50kg and larger than 1 pallet. The most common is commercial pallet goods, bulk goods, machines and goods under temperature control. 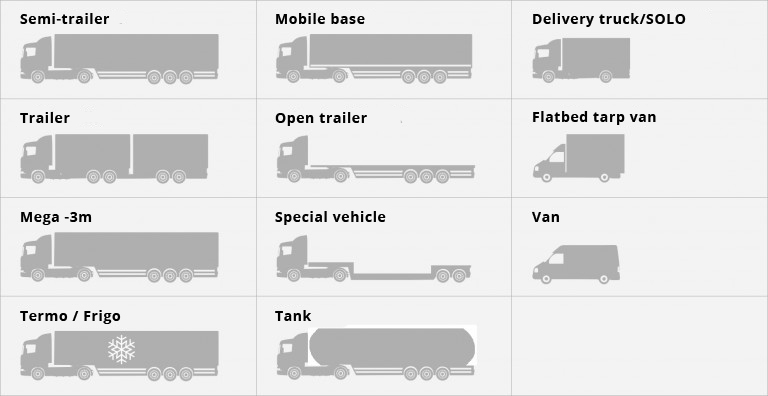 What types of cargo don’t we transport? For quality assurance, certain types of cargo cannot be transported due to a lack of suitable equipment. If you need an upgrade or special equipment, tell us about it beforehand. Delivery time is one of the key factors for generating transport prices. We have two price options available based on delivery time. Express transport is intended for urgent shipments. Vans are mostly used for delivery and the driving time is not limited. Economy transport is groupage transport and is intended for most goods. Such transport has a longer delivery time due to a large number of collection and delivery points. The average delivery time is 2–3 days. Lack of space in your warehouse? Thinking about reducing your storage costs? Would you like to have your goods stored and then delivered to your customer? The ideal solution for you is our warehouse in Ljubljana. Storage includes labelling, dispatch, complementary work and many other activities. We are the choice for customers who want lower costs and warehouse inventory control. What services does our warehouse provide? We advise all our clients to further insure their cargo during transport.